In a recent op-ed, Professor Jess Rigelhaupt argues that the Obama administration needs to prioritize ending mass incarceration. 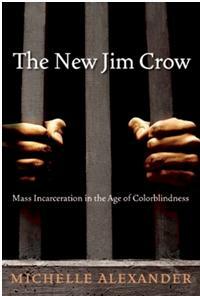 He draws on Michelle Alexander’s powerful arguments about how mass incarceration fuels racial inequality in Alexander’s new book, The New Jim Crow. Both Professor Rigelhaupt and Professor Alexander point to the problem of prison-based gerrymandering in state legislative districts as an example. Under the usual-residence rule, the Census Bureau counts imprisoned individuals as residents of the jurisdiction in which they are incarcerated. Because most new prison construction occurs in predominantly white, rural areas, white communities benefit from inflated population totals at the expense of the urban, overwhelmingly minority communities from which the prisoners come. This has enormous consequences for the redistricting process. White rural communities that house prisons wind up with more people in state legislatures representing them, while poor communities of color lose representatives because it appears their population has decreased. This policy is disturbingly reminiscent of the three-fifths clause in the original Constitution, which enhanced the political clout of slaveholding states by including 60 percent of slaves in the population base for calculating Congressional seats and electoral votes, even through they could not vote. Her book provides a comprehensive picture of how mass incarceration is jeopardizing our democratic system and our wellbeing as a nation. And if you’re interested in learning more about the parallels between prison-based gerrymandering and the infamous three-fifths clause, check out John Drake’s new journal article, “Locked Up and Counted Out: Bringing an End to Prison-based Gerrymandering,” or my blog post about prison-based gerrymandering in Wisconsin. This entry was posted in Uncategorized by beyondbadandgood. Bookmark the permalink.